Passed in the care of her family in Venice Florida on November 26, 2018, she was 98. 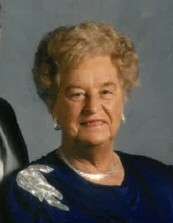 She is the loving wife of the late Erwin J. Reupert. Devoted mother of Christine (Ronald) Fay, Mary Jo Strickland, Ann (Walter) Wurster, Donald (Mary Beth) Reupert, Kenneth (Kathy) Reupert, Richard (Karen) Reupert & Daniel (Lori) Reupert. Cherished grandmother of 19 grandchildren and 25 great-grandchildren. Family and friends are invited to a Visitation Saturday December 1st from 9:30 am until time of Funeral Mass at 10:30 am, all at St. Martin of Tours Catholic Church 3720 St. Martins Place Cincinnati, Ohio 45211. If desired, memorial donations may be made to St. Martin of Tours Church, or TRAM (Three Rivers Area Ministries), Donations will be accepted at the visitation.